﻿ Cristiano Ronaldo: "The most difficult games are still to come"
03.11.2011 » Cristiano Ronaldo: "The most difficult games are still to come"
The Portuguese player made History last night, in the Gerland stadium, after helping Real Madrid to beat Lyon in French territory for the first time. Moreover, Cristiano Ronaldo also scored the two goals of this match, reaching the 100 goals mark for Real Madrid. Real Madrid 2011/2012 campaign so far has been close to perfection, as the Spanish side leads both La Liga standings and their UEFA Champions League group. 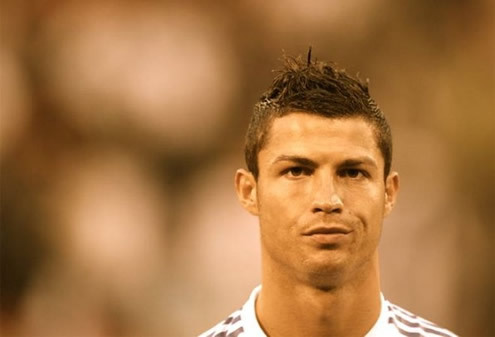 As expected Cristiano Ronaldo has been a crucial element for the team, having scored already 14 goals this season. Last night against Lyon, CR7 scored his first brace of the season and not only he reached the 100th goal mark for the club, as he also surpassed it after scoring a 2nd goal from the penalty-kick spot. However, Ronaldo doesn't seem to be deluded with his achievements and he's aware that the hardest matches will take place in the next months. If for some reason several newspapers seem to keep discussing if Cristiano Ronaldo has reached his 100th or 101st goal for Real Madrid (due to the controversial goal that got deflected on Pepe last season), the Portuguese player didn't show any concerns on that topic: "I'm very happy for having scored my 100th goal for Real Madrid. This team allows me to show my best football and also to score goals, but the most important thing has been to assure the team's qualification to the last-16 stage." Cristiano Ronaldo: "It's great to start the season so well, but what would be truly important is to finish it in great form. We've been performing very well lately, but there's still a long way to go. I hope that I can keep doing good things throughout this season", replied Ronaldo when urged to comment on the club's current form and winning streak. Over the last years, Real Madrid has struggled a lot to bring positive results from the Gerland, but this season, the Merengues proved once more that they are stronger than in previous years and they completely outclassed the French side in their home field, for the first time in Real Madrid's history. Cristiano Ronaldo is proud of that achievement: "It has been the first time that Real Madrid won in Lyon's stadium, so it's safe to say that the curse is over. We are the best team in the UEFA Champions League group stages so far, having won our 4 matches, but it's important to note that the most difficult games are still to come, specially in the knockout rounds", alerted Cristiano Ronaldo. Regarding Cristiano Ronaldo's performance, Real Madrid coach, José Mourinho, also commented on the matter. Mourinho: "I don't get over-excited with players setting new records, since my main concern is always about the team getting good results. All the media buzz about that doesn't really care, since those are records that don't mean much at the end of the day. But it's true that the players appreciate reaching those kind of special marks. ", noted the Portuguese coach. Next week, Portugal will take Bosnia-Herzegovina for the Euro 2012 playoffs and Cristiano Ronaldo has also showed his confidence regarding Portugal chances to get through. Ronaldo: "Those matches against Denmark are part of the past already. 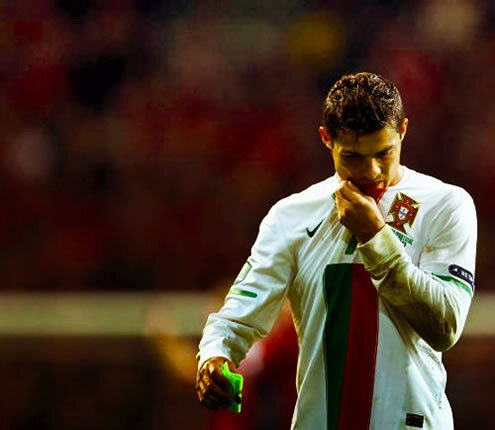 I believe we are favorites against Bosnia and I'm very confident that Portugal will be in the Euro 2012 in the Summer", referred the Portuguese player. Real Madrid is now preparing their next fixture for La Liga, which will take place this Saturday against Osasuna, in a very awkward schedule, since the game will be played during the morning over European timezones. The game will start at 11:00 (GMT+0), and at 12:00, local-time in Madrid (GMT+1). Real Madrid next game is against Osasuna this Sunday, for La Liga. You may watch Real Madrid vs Osasuna, in our Soccer Live Streams section, but please note that this match will be played at a very unusual hour (11:00 GMT+0). The countdown clock timer, displaying the time left for the next Ronaldo game, is shown on the top right corner of all pages. Besides that game, you can also watch Manchester United vs Sunderland live on Saturday, and Athletic Bilbao vs Barcelona free on Sunday. All streamings are provided from our "Live" section.